Augmented reality is a technology that can be used to deploy Problem Based Learning activities that immerse students into meaningful learning activities by overlaying digital information; such as audio, video, 3D simulations, etc., to the vision of the real world. 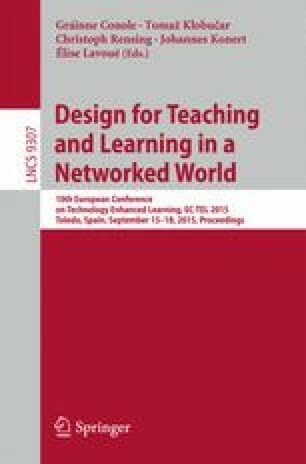 This paper explores the integration of augmented reality based activities in web courses providers and proposes a communication flow between an augmented reality application and a web based learning course provider. This work was supported in part by the Spanish project EEE under Grant TIN2011-28308-C03-01 and the Spanish project eMadrid under the grant S2009/TIC-1650.